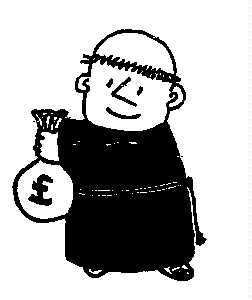 Friar Tuck Credit Union Ltd.
Do you live, work or study in Lenton, Dunkirk or Lenton Abbey (Nottingham)? Do you need to get control of your money and don't trust the banks who messed-up last year? Do you need easy access to credit you know you can afford? A credit union is a group of local people who have joined together to pool their savings to give each other easy access to credit. Unlike a bank or other commercial money lenders, a credit union protects its members by only lending money the members can afford to borrow - so no spiral of debt. Also, unlike commercial organisations, a credit union allows its members to build up their own credit - irrespective of past mistakes.